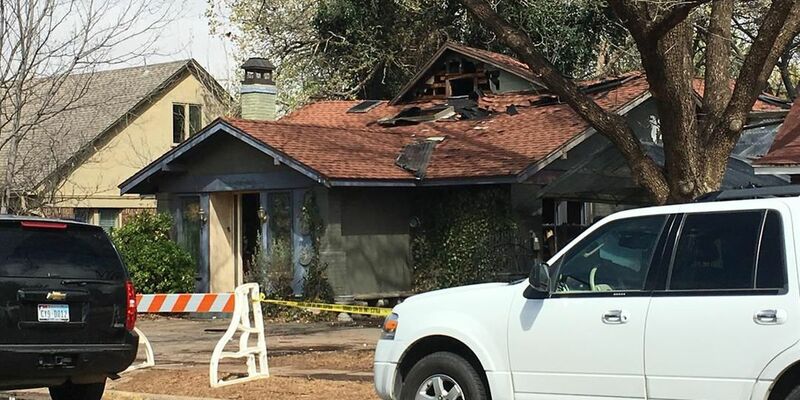 LUBBOCK, TX (KCBD) - Lubbock Fire Rescue Division Chief Steve Holland confirms there was an explosion at a house in Tech Terrace Tuesday night around 10 p.m. The explosion happened in the 2900 block of 21st Street and caused a two-alarm fire. Witnesses said the explosion was felt several blocks away. Windows in the house across the street were shattered by the blast. A house on the corner of 21st & Canton actually had a piece of debris from the explosion land on their roof. According to the Lubbock Police Department, multiple victims were found at the scene when they arrived. One of the victims, 72-year-old John Fleming, was pronounced deceased at the scene, while three additional victims were taken to University Medical Center by ambulance with serious injuries. Officials say 45-year-old Rodica Gelca, one of the three taken to the hospital, was later pronounced deceased at UMC. Officials say Gelca was trying to help put out the fire. The additional two who were transported are expected to recover, according to officials. Three Lubbock Fire Fighters were also taken to the hospital with minor injuries and have since been released from the hospital. Their names will not be released by officials. According to our research, John Flemming owned the home and ran the business E2Amm LLC out of the home. The company manufactures hydrogen and ammonia modules. At this time, authorities have not said if the chemicals in the home caused the explosion. Although there were some concerns about possible hazardous materials at the scene, Lubbock Fire Rescue issued a statement on Wednesday afternoon to try and "dispel any rumors of chemicals in the air in this area." LFR says Hazmat is on the scene and have not found any contaminants in the air. Fire investigators have not identified a cause of the fire at this time, but they say it "is not believed to be criminal in nature." LFR says the investigation is expected to continue for a few days. Local, state, and federal agencies are cooperating in this investigation. Lubbock Police are still on the scene and are working with Lubbock Fire Rescue to properly secure the area.